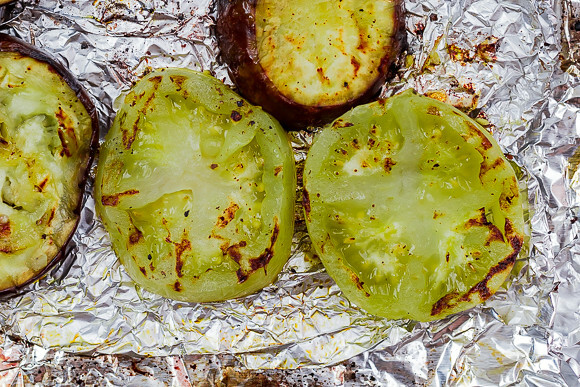 Have you ever grilled a green tomato? We have been so overloaded with grape and cherry tomatoes from the garden that I haven’t let very many of the beefsteak tomatoes actually ripen. I’ll keep a couple on the vine to ripen for sandwich slicers but the rest? Pulled off the vine while still bright green. Nothing will ever ever ever top breading and frying up a green tomato and then serving those crispy medallions of heaven with a side of ranch. But grilling them does come in a decently close second – you still get those tangy green insides of the fried tomato with added char and smokiness from the grill. We have been using them on sandwiches, in this Chopped Summer Vegetable Salad, and on burgers. 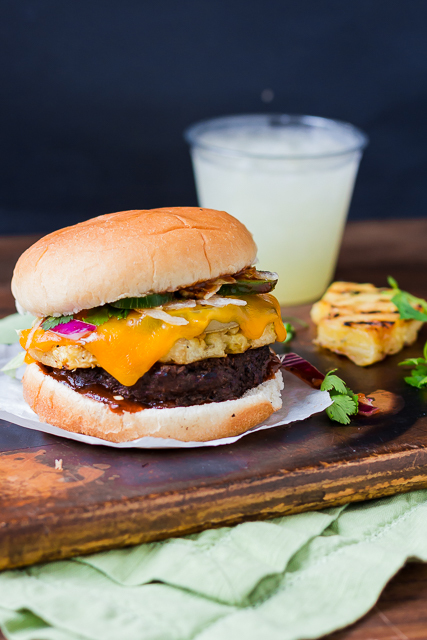 Pairing the tangy green tomatoes with a slice of sweet caramelized pineapple and fresh weapons-grade-hot jalapenos turns your ordinary burger night into summer on a bun. It’s tangy, sweet, smokey, and really &^%$#@! spicy. Pro tip: Don’t be a hero. When “you” realize with that first bite that your jalapenos could probably be sold on the black market to some really sketchy people, it’s okay to remove a couple of the oh, 10 slices you piled on. No one will think any less of you. And the pain will subside muuuuch quicker than if you stupidly power through. Just throwing that out there. Tangy, smokey grilled green tomatoes are perfect for burgers, salads, and sandwiches. Fold a ~14-inch piece of foil in half, crinkle it lightly, and then stretch it back out. Generously brush it with olive oil. Salt and pepper both sides of the tomato slices and arrange on the foil in a single layer. Too cook them on a grill along side the burgers, form the ground beef into 3 or 4 burger patties. 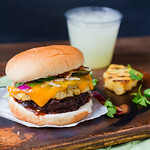 When the grill is hot, transfer the burgers, pineapples, and foil with the tomatoes to the grill. Cook everything for 8-9 minutes, flipping halfway through (the tomatoes and pineapple should be lightly charred). 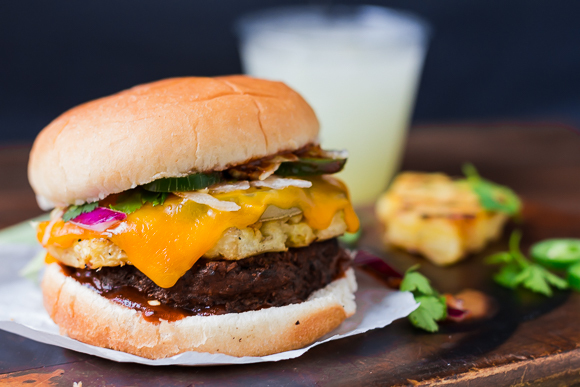 Assemble the burgers and serve with the cheese and sauce of your choice.